With the complete rollout of the Every Student Succeeds Act (ESSA) this school year, states have been presented with the task of submitting accountability plans to the U.S Department of Education that must include four academic indicators and a fifth that measures school quality or student success. As a school social worker, this was great news for me seeing that I spent a large amount of my time addressing the issues that keep students from coming to school. It just always seemed like common sense to me that school attendance had to be a top priority before focusing on student achievement and success. After all, nothing happens until they show up. Even the most qualified teachers, engaging instructional practices, and welcoming school climate cannot benefit the student who is not consistently in school. The challenge has been that there was little accountability connected to school attendance so it was often overlooked as unimportant. Since we have been held accountable for academics and test scores, this is where most of the emphasis has gone. Making school attendance an option as an ESSA accountability measure is definitely a step in the right direction. However, now we must go a little deeper to ensure we are providing students with the adequate support they need to make it across the finish line. 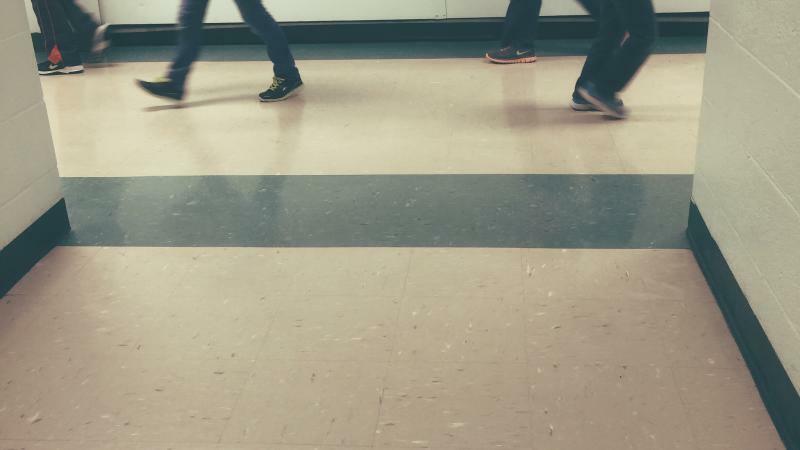 This may surprise many, but chronic absenteeism is not the real issue we are facing. Attendance is only a symptom of a deeper issue. And until you take the time to discover what these “root issues” are that your students are dealing with, you will continue to have attendance issues. Absences simply let you know that a problem exists, but they don’t tell you why. It is incumbent that we not only identify the students who are missing school, we must also identify the barriers that are keeping them from getting to school. From the inception of their school journey in pre-K to crossing the stage graduation night, your students will undoubtedly encounter a host of barriers and challenges that if not addressed could often prevent them from achieving in school. Some of those barriers include poverty, homelessness, abuse, bullying, lack of motivation, low reading levels, or a bad relationship with a teacher. The challenge for many school districts is that they have absolutely no clue that their students are experiencing these challenges. In case you didn’t know, students aren’t always eager to volunteer information about the problems they may be experiencing. Sometimes the only clue you will get is that a student has missed 15 days of school and it’s not even the end of the first quarter. That is when we must put our investigator hat on and start searching for clues. The painful reality is that millions of students drop out of school each year because no one knew that they were silently suffering every day. Before doctors prescribe medication, they must first try to accurately diagnose the problem. We must take the same approach where helping our students is concerned. If I encounter three students who all have excessive absences, do I address them all the same? Of course not! It would depend upon the root cause. For example, one student may be homeless, another may be getting bullied at school, and the third may just enjoy skipping with friends. Without discovering the root causes to these students’ reasons for missing school, I may take actions that could prove more harmful than helpful. The student missing school due to being bullied needs something totally different than the one who is missing school simply because he or she enjoys skipping with friends. The point is, a student could be experiencing any number of barriers that cause them to miss school. Not only must we give attention to providing an academic educational experience to our students, we must also identify, address, and ultimately remove the barriers that interfere with them getting that education and making it across the finish line. School attendance has been and always will be one of the best indicators that something is not right with our students. Now that it is officially on the radar, we most transition our conversation from simply identifying who is missing school to understanding why they are missing school and deciding what to do about it. Once we do this, we will be in the best position to provide our students the support they need to overcome any barrier and make it across the finish line.